Home owners, do you need help with home maintenance, need to upgrade light fixtures or replace a bathroom vanity? Landlords, do you have a new tenant moving in? Need help with repairs, cleaning, carpentry, drywall, light plumbing and electrical services. Realtors, let us declutter and stage your client’s home before listing. Let us handle their inspection report punch list. Bella Home Services has an ‘A’ rating on Angie’s List. All work guaranteed. No payment until the job is completed to your satisfaction. Our handymen service home owners, business owners, landlords, tenants, realtors, anyone in need of help around the home or office. 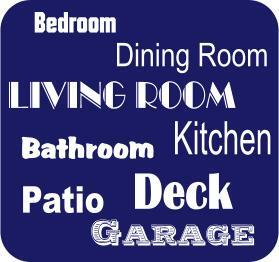 Realtors, let us help your clients declutter and stage their house and handle their home inspection report punch list. Bella Home Services is based in South Charlotte, providing handyman services to Ballantyne, Matthews and the surrounding communities. Our mission to be a good neighbor is reflected in the quality of service we provide..
Our team of skilled craftsmen have decades of experience in home repair handyman services. With our commitment to quality, you have the assurance your projects will be completed to your satisfaction. Integrity is very important to us. We stand behind our work. Your project is not completed until you are 100% satisfied. Bella Home Services has an ‘A’ rating on Angie’s List.